Although I have spent a significant part of my summer playing video games, it had been a while since I had last played a game with an interesting and engaging story. Whether it was a platformer (the Crash Bandicoot: N. Sane Trilogy or the PS4 version of Jak and Daxter) or an action-filled blockbuster (Just Cause 3 and Uncharted: The Lost Legacy), my latest gaming experiences lacked in narration what they delivered in gameplay. 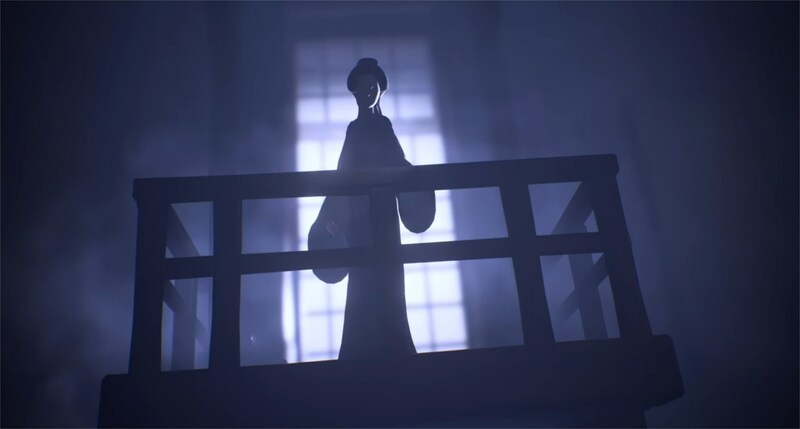 My desire for a more meaningful and deep story was satisfied by a game which I didn’t expect to catch my attention in terms of narration – Little Nightmares. This game was released earlier this year, and it was the first original title (a phrase which here means: non-related to a pre-existing franchise) by Tarsier Studios, and an intriguing title at that. The game features no dialogues and its entire story is told without any cutscenes, an yet, it is a disturbing and bizarre tale about childhood, that reconciles two seemingly antithetic genres: platforming and horror. The adventures lasts four hours, which was just about enough to make me feel emotions that other bigger, more ambitious titles released this year had failed to deliver. The game takes place aboard « The Maw », the most sinister and gloomy place on Earth. At first, it looks like a jail, before progressively revealing itself as some sort of nightmarish boat that roams the seas, inhabited by obese human beings whose only occupation is eating voraciously. This boat of sorts combines several artistic influences – industrial-looking kitchens meet Japanese-inspired apartments – and is wrapped in an aura of gloom and mystery. The enigmatic figure that reigns upon this place – The Lady – is a masked woman wearing a kimono. 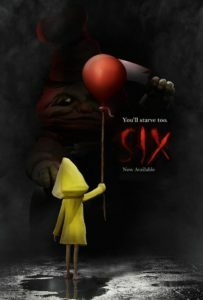 As for you, you are playing as Six, a young girl too skinny and small for her young age to justify it, whose fragile body is covered by a yellow raincoat. The little girl must find her way through this dreadful place, while avoiding to be captured by the gargantuan and voracious population of the boat. The child’s only “friends” are called the Nomes: childlike creatures wearing triangular masks (a tribute to Silent Hill 2’s Pyramid Head? ), that she can hold in her arms as if to comfort them. The Maw’s cooks are obese, disgusting men. The game’s original title (before it was changed during development) was Hunger. You’ll soon figure out why. Little Nightmares is a constant opposition between the fragility of the protagonist’s body and the dirty opulence of the adults she meets on board. From the cooks that work in the boat’s kitchens to the guests sitting at the tables, all the adults aboard the Maw are exaggeratedly obese and disgusting. They spend their entire time eating everything and anything – sometimes even children. In every chapter, Six must avoid getting eaten, but she also has to find food for herself in order to avoid starvation. In order to do so, she will have to eat whatever the Maw has to provide – which will sometimes mean accepting some unorthodox meals. 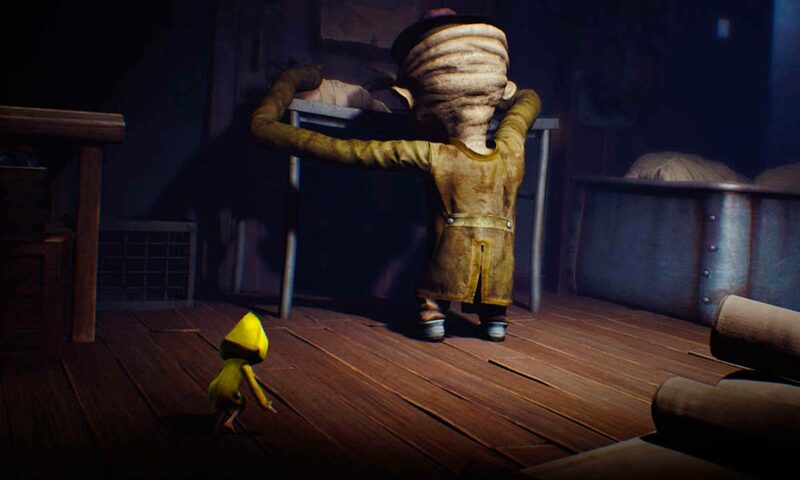 I would not say Little Nightmares is scary but it does create a sense of dread and insecurity, by mixing a disturbing setting, frightening sounds, and the constant fear that little Six might get caught by the gigantic enemies she meets, who are way bigger and faster than her. The game is not a horror game per se but it delivers in stress and adrenaline, while also borrowing from other tortured universes: Tim Burton’s cinema, Silent Hill’s industrial horror experience, Limbo’s black and white nightmarish world. All with the poetic transcendence of a game like Unravel – which it curiously resembles in some ways. Just like Unravel, Little Nightmares is a platforming game developed in Sweden, in which a tiny hero explores a world that’s way too big for it. But what Unravel delivers in beauty and love, Little Nightmares delivers in dread and uneasiness. Just like Silent Hill, Little Nightmares features disturbing visions of everyday places (toilets, kitchens…). The game’s eventual name, Little Nightmares, has a deep meaning: it is an adventure that plunges us into “little” nightmares – understand nightmares that come from your childhood. It will remind you of what you were most afraid of as a child: the fear of the dark, first, as Six has no weapon but an unreliable lighter, that has the huge inconvenient of making her visible from her enemies. The fear of adults, also, if not the fear of becoming an adult, yourself. The game does feature a far-too-adult world, in which children do not seem to belong – although they are violently confronted to it. You may understand the game’s story in many different ways, as it purposely remains vague and metaphorical, but there is one theme that clearly stands out: the theme of childhood, and how children look upon adults with fear. Children and adults are constantly opposed within The Maw, more often than not in an unhealthy way. With the only exception of the Lady, a motherly figure – who molests her children, though – whose maleficent presence is constantly reminded through tiny statues that look like her – all the adults in Little Nightmares are the same obese and greedy beings whose only purpose is to try to torture and devour Six. The game’s narrative structure, up until the end of the story, reveal the physical and mental damages that abuse have caused on Six. The hunger that haunts Six as well as the horrors she has to face do not come without a price. With subtilty, the game shows how mistreating a child can trigger a cycle of destruction, and how a painful childhood can transform into a destructive adulthood. Little Nightmares reveals how difficult it can be for children to leave this cycle of violence. The Lady is as mysterious as she is frightneing. Is she a goddess, a mother or just an anonymous woman? With this central theme of children being confronted to corrupt and mindless adults, Little Nightmares reminded me of books like Oliver Twist or A Series of Unfortunate Events. The game’s aesthetic is actually quite similar to the movie and television adaptations of the Unfortunate Events, up to the symbolism of the eye, that is constantly connected to the Lady, who is some sort of inhuman version of the Count Olaf. The antithesis between youth and adulthood, as well as the importance of childish fears are also reminiscent of Stephen King’s It, the movie adaptation of which just released in theaters. You’ll also have in mind American McGee’s Alice series and its depiction of dark and twisted worlds coming from the mind of a young girl faced with the craziness of adults. The perfect childhood, to sum it up. The game developers actually made a crossover promo art between Little Nightmares and the movie It. 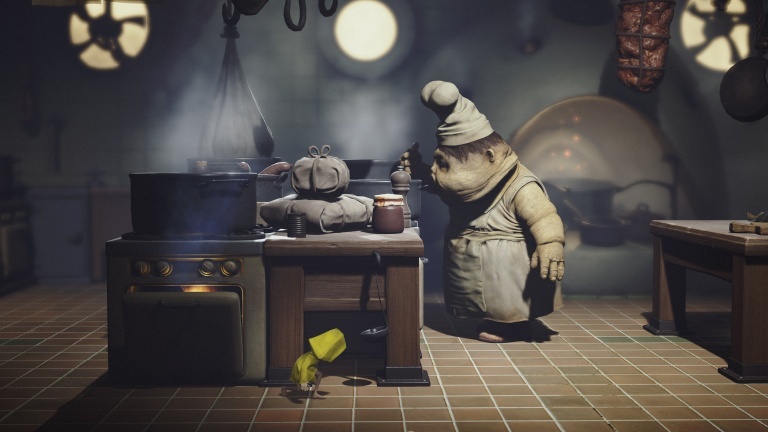 Little Nightmares isn’t without flaws: its controls aren’t always optimal, its lifespan is kind of short and its story is sometimes too metaphorical, leaving some plot elements unexplained for lack of dialogues or cutscenes. But these flaws are also strengths: the game’s short duration means it never gets boring, and the absence of a literal narration leaves room for interpretation, which I find most welcome. And with an upcoming DLC on its way (the first chapter is already available) that tells the story from another child’s perspective, the game still has some secrets to reveal. Effectively “little” – the game only lasts a few hours – Little Nightmares does take the time to tell a lot. ← Are there too much open-world games?